BLACK PRO SERIES READY TO RUN (Small Cap HEI) ELECTRONIC DISTRIBUTOR! 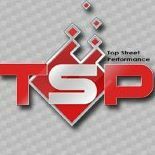 TSP’s Pro Series Ready to Run Distributor is perfect for a street performance ignition upgrade. It features a CNC-machined billet aluminum body and hardened steel shaft, with a sealed ball bearing on top and a sintered steel bushing on the bottom. It also comes with a fully adjustable mechanical advance, magnetic pickup trigger, a vacuum advance (not adjustable), and a high-output circuit board module with digital tach output. 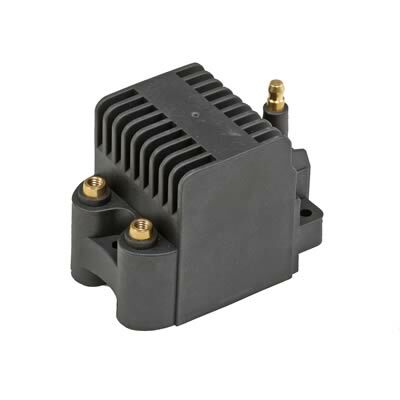 The dielectric cap comes with solid brass terminals and a color-matched wire retainer. 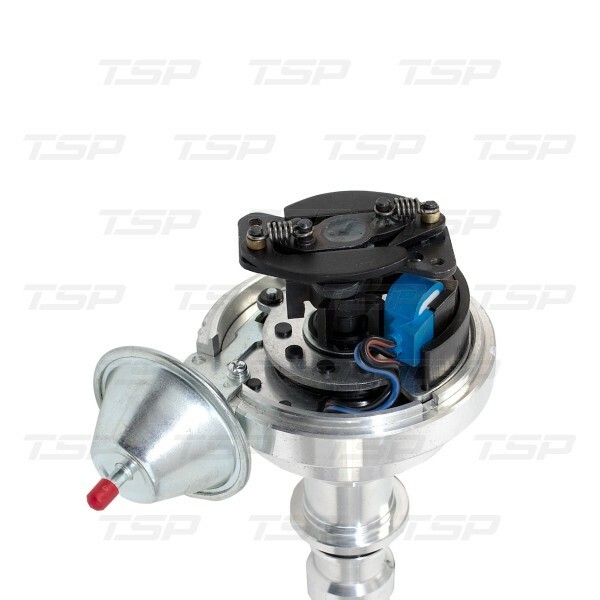 What separates a Ready to Run from a Pro Billet is the top-of-the-line internal ignition module. Built using the latest circuit board technology, this module eliminates the need for external ignition control, such as a CDI box. It also comes with a digital tachometer output. 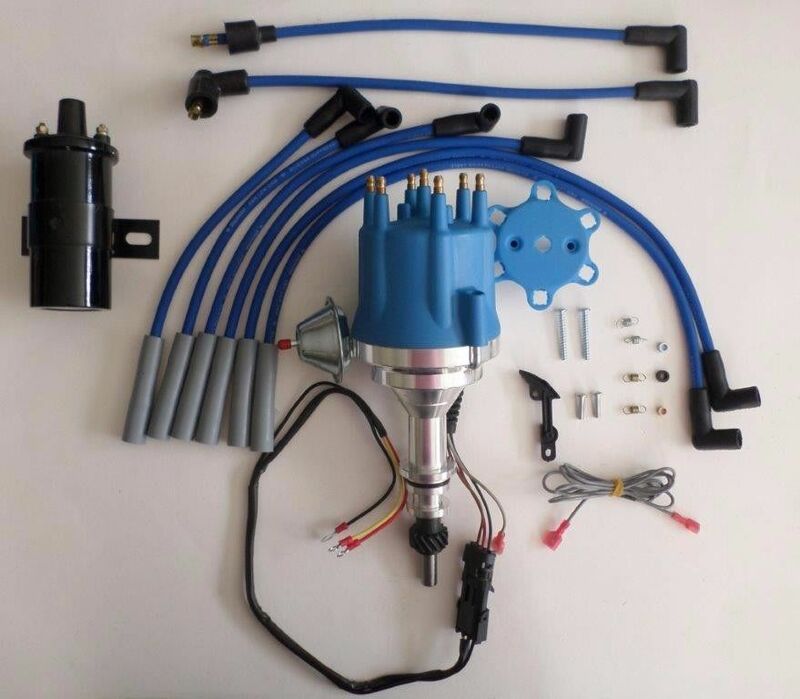 With a Pro Series Ready to Run distributor, just hook up your ignition coil, and you're good to go. 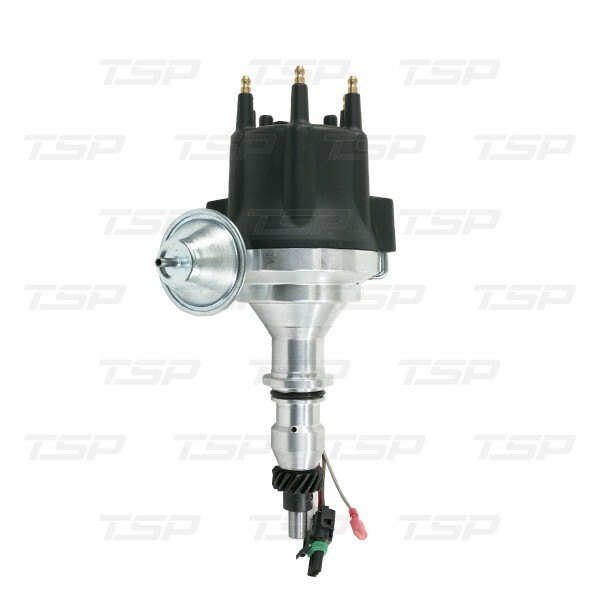 Includes Distributor and Internal Ignition all you will need is a Coil. 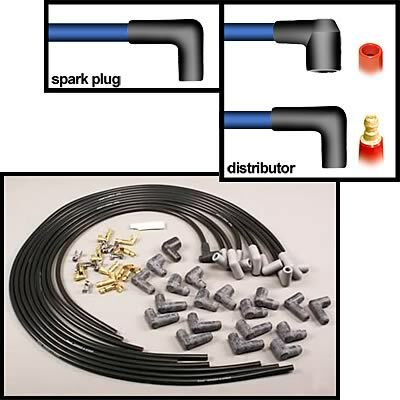 Need a new Coil and Ignition Leads? Why not look in our shop and purchase one. NOTICE THE PRECISION MACHINE WORK ON THIS UNIT. 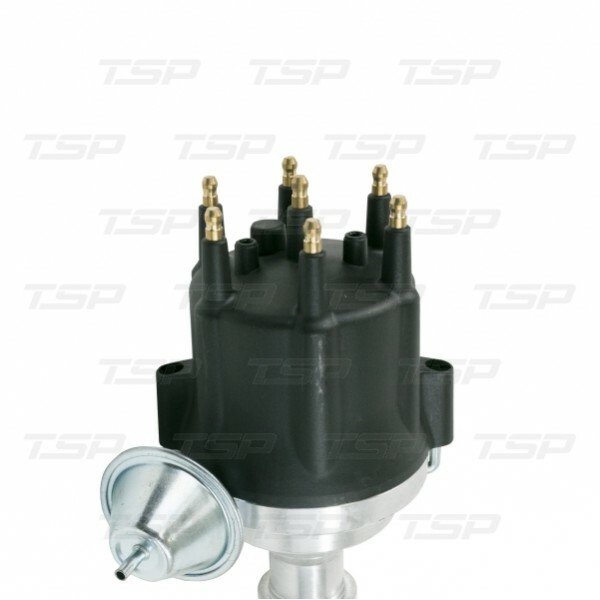 CLEARANCE IS NEVER AN ISSUE WITH THESE DISTRIBUTORS AS THEY HAVE A SMALL BASE BODY AND CAP. WE DO OFFER THE SUPER E-CORE COIL IN OUR STORE. THIS COIL IS ONE OF THE BEST COILS ON THE MARKET. A cast aluminium body is CNC machined into a perfect housing for incredible strength, precision and looks. 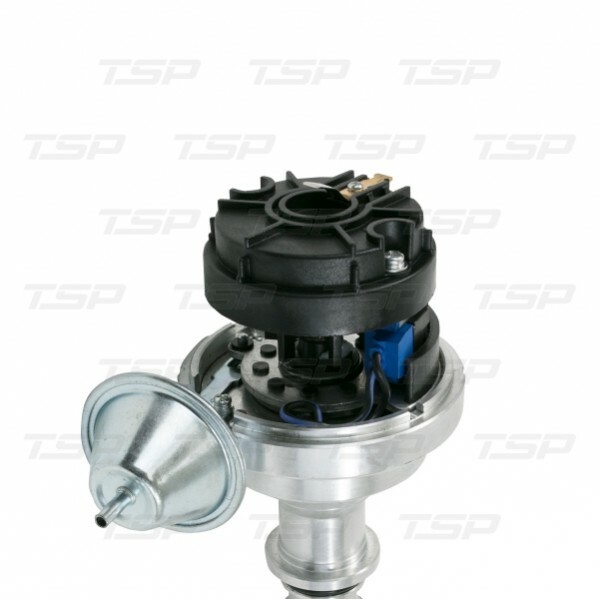 This is used in any engine from stock to high end vehicles which may have space limitations around the engine. Don't miss out on this great product at a great price.